The weather lately has been impossibly perfect...sunny and moderate with a hint of fall chill. This weekend was no exception. I donned this cool, comfortable outfit for a laidback day of walking around and enjoying the sunshine. The leather look of the leggings feels of-the-moment, and they're also oh-so-comfortable. 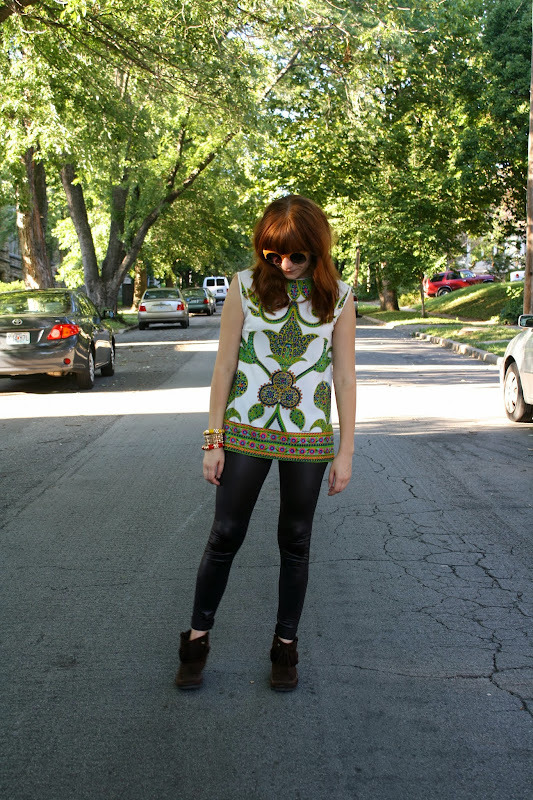 And the print of this vintage tunic may be my favorite in my clothing collection!